The Western Highlands Provincial Health Authority (WHPHA) has now received much needed TB drugs to treat its patients. 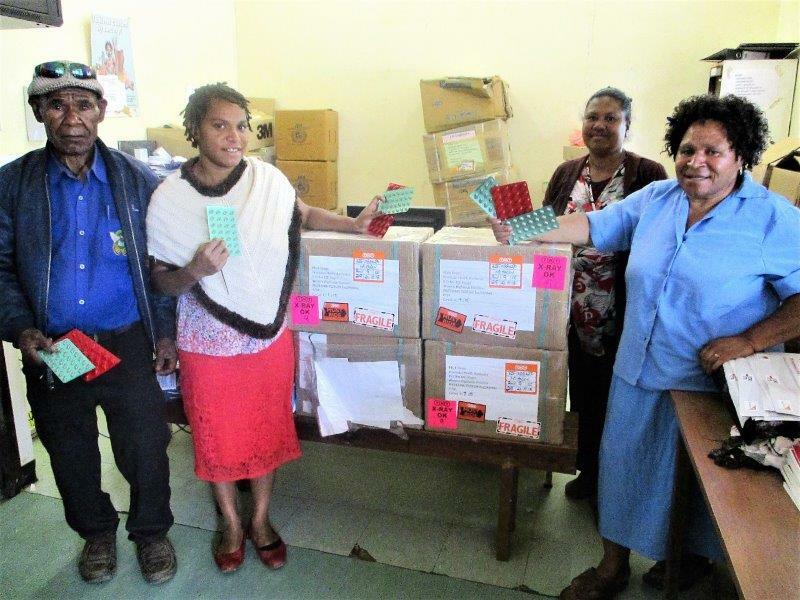 The Area Medical Stores at Badili in Port Moresby had couriered 15 boxes of the drugs to Mt Hagen in late October with 35 cartons more to be delivered soon after. The quick action has resulted from complaints by TB patients that their lives were at risk if they did not take their daily doses on time. The patients spoke on camera which was later aired as the lead stories on EMTV and NBCTV News. They expressed their concerns when they visited the TB clinic at Mt Hagen Hospital and discovered there were no more drugs for them. They complained that the National Government was concentrating too much on the APEC Summit and spending millions of kina on luxury cars and other activities while health, education and infrastructure development were given a blind eye. The WHPHA while appreciating the quick response has also revealed that there were other drugs and medical consumables that were not available but were critical to the lives of patients. A senior paediatric surgeon said he would cancel all his elective surgeries requiring specific paediatric surgical sutures because they could not be supplied by the National Department of Health. A patient referred for x-ray also said he could not have his x-ray done because he had been told that there were no films available, a situation which was also faced by other hospitals in the Highlands region. The senior surgeon said the supply of drugs and medical consumables was the responsibility of the National Department of Health and something urgent needed to be done to rectify the drug shortage problem in the country before more lives were lost. He said respective hospitals and provincial health authorities in the country could not buy their own drugs and medical consumables because they were also faced with acute shortage of funds. TB Clinic staff from right – Martha Kilya (CHW), Anna Koubuli (HEO), Roselyn Pakil (CHW) and Masua Pupu (CHW) displaying the boxes of drugs.